Formed in 1998, theStart has graced the rosters of many record labels including 143 Records/Atlantic Records, The Label/Geffen Records and Nitro Records. Credited as one of the first bands of the new wave revival, the punk/synth rock band gained notoriety with their albums Shakedown! and Initiation. Now poised to release their newest album Ciao, Baby on Metropolis, theStart have refined and nurtured their sound into a dancier version of their former selves. However, the punk and new wave elements are still visible through the pop sensibilities that they have incorporated. Tracks like “Wartime” and “Master Plan” exhibit the new evolution, while songs such as “Blood On My Hands” and “Runaway” show the signature style that fans have come to know and love. 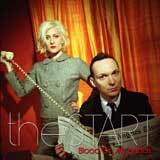 The “Dance Revolution” for punk and new new wave has begun and theStart are just the beginning.